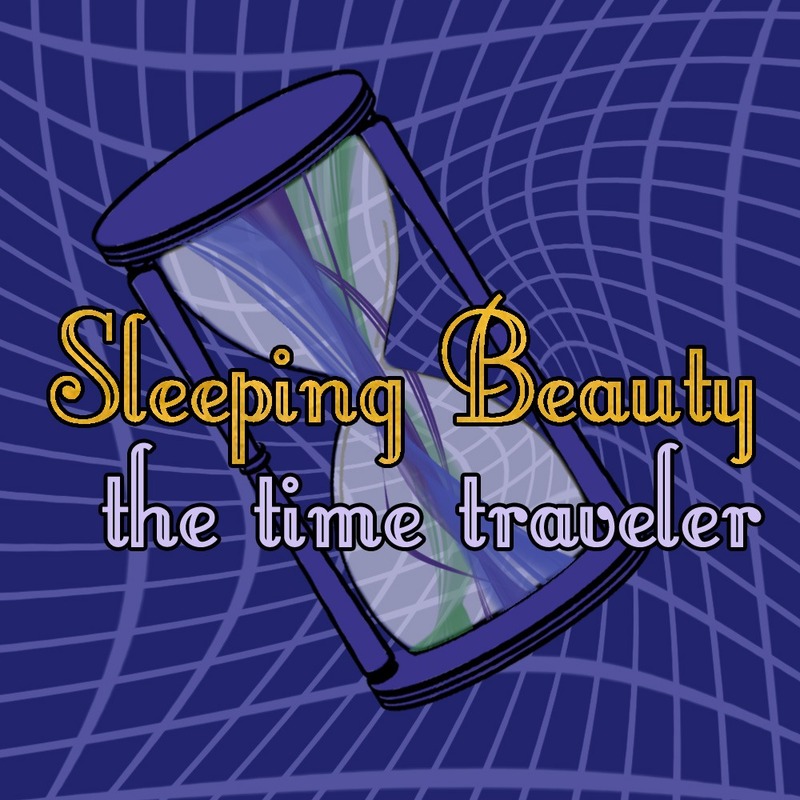 Sleeping Beauty: The Time Traveler is the classic story given a contemporary twist. 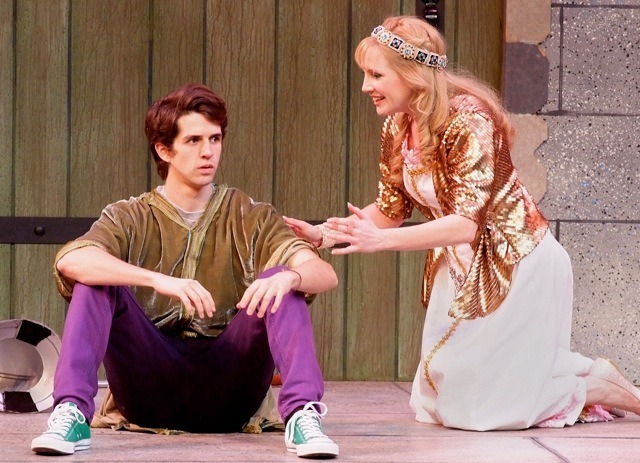 The play juxtaposes an modern day “prince” named Rolly Knight, with the medieval heroine Aurora who longs to be a knight in the Age of Charlemagne. The King and Queen of the familiar fairytale double as an exasperated Mom and Dad who want their son to care more about Fifth Grade studies than Nintendo. When Rolly pricks his finger on a spindle in a museum, he finds himself propelled back a thousand years and into the midst of Aurora’s struggle with her overly protective parents. 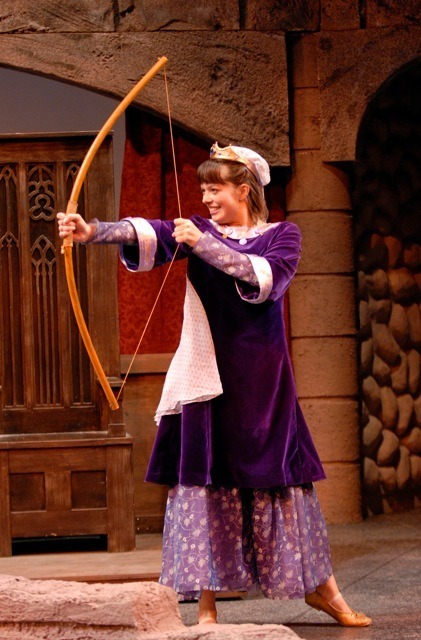 Sleeping Beauty: The Time Traveller was commissioned and premiered at Imagination Stage in Bethesda, Maryland in 2000, under the direction of Kate Breyer. Audio demo features the voice talents of: Sherrie Edelen (Aurora), Jason Gilbert (Rolly), Andrew Ross Wynn (King/Pete), and the composer (Queen/Mattie). Music: Traditional musical theatre score. Accompaniment tracks available. Technical Requirements: The show can be produced to fill a main stage venue or done simply for touring. The setting is an 11th Century Castle, as a museum in the present as well as in the past. Set pieces include an hour glass, a spinning wheel, a longbow, a dummy knight wearing a tunic, and a bed. 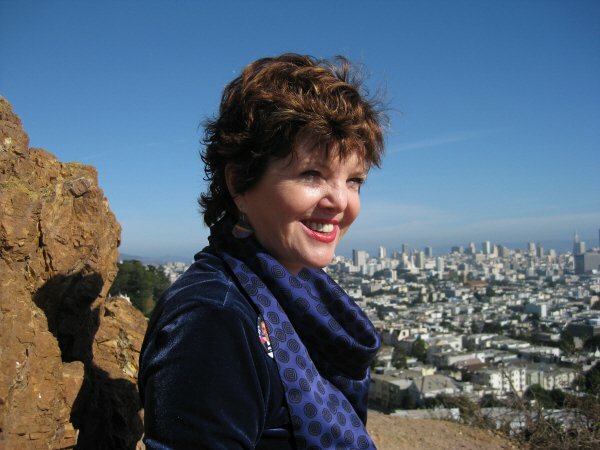 JANET STANFORD (playwright) is a director, Equity Actor and playwright. As Artistic Director of Imagination Stage in Bethedsa, MD, she has helped transition the theatre from a community-based arts organization to a nationally significant regional theatre for young audiences and comprehensive arts education program. She has commissioned 35 new works for children from American and international playwrights including Kevin Kling, Karen Zacarias & Deborah Wicks La Puma, Joan Cushing, David S. Craig and Charles Way. Janet has received two Helen Hayes nominations for Outstanding Director (Dr. Dolittle and The Lion, the Witch & the Wardrobe) as well as the 2012 awards for Outstanding Ensemble and Outstanding TYA Production for The Lion, the Witch & the Wardrobe, a collaboration The Washington Ballet. Janet travels widely to festivals throughout the U.K., Europe, Scandinavia and South America seeking artists to work with at Imagination Stage. Since 2009 she has partnered with Lyngo (Italy) and Tell Tale Hearts (U.K.) to bring Theatre for the Very Young (intimate and age-appropriate theatre for children ages 2-5) to Imagination Stage. 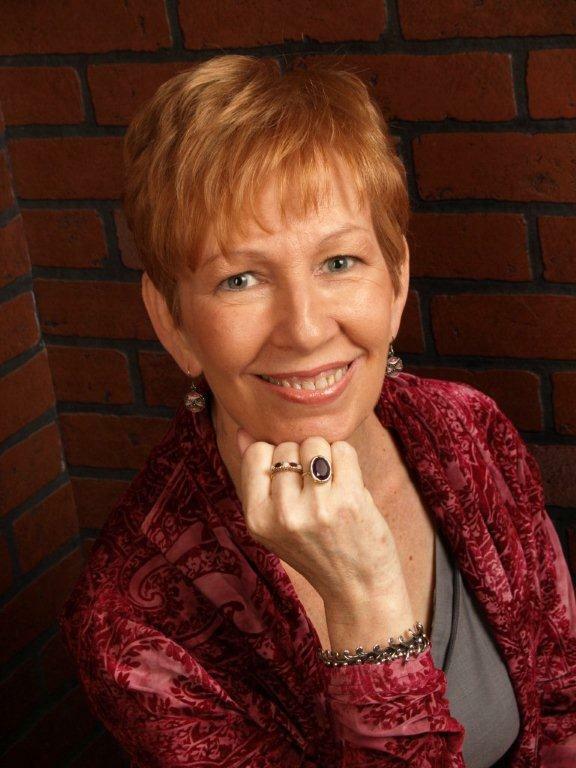 ANDREA DODDS (Lyrics) began her career writing for children with Froggie Went A’Courtin’ (book by Stanley Werner, Jr.) published by The Dramatic Publishing Company. Other shows have included The Adventures of Edam Stilton (book by Stanley Werner, Jr., based on the short stories of Mickey Klar Marks), Rock Candy Mountain Revisited (book by Stanley Werner, Jr., music by Robert DeCormier), The Good Knight Story (music by Deborah Wicks LaPuma) commissioned by the Children’s Empowerment Network, and Sleeping Beauty: The Time Traveler (with Deborah Wicks LaPuma) commissioned by Imagination Stage. Rock Candy Mountain Revisited was recorded by Golden Records. Andy is a member of ASCAP and the Musical Theatre Wing of Washington DC’s Playwrights Forum. Featuring the voice talents of: Sherrie Edelen (Aurora), Jason Gilbert (Rolly), Andrew Ross Wynn (King/Pete), and the composer (Queen/Mattie).